We're delighted that books by Lucy Diamond, Ann Cleeves and Cathy Rentzenbrink are amongst this year’s World Book Night titles. 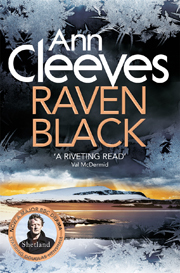 We are delighted that books by Lucy Diamond, Ann Cleeves and Cathy Rentzenbrink are amongst this year’s World Book Night titles. Whether you’re after a gripping mystery, a beautiful, touching memoir or just a great read for a sunny day, we’ve got the book for you! Best of all you can start reading all of our World Book Night books right here. World Book Night is an annual celebration of reading and books that takes place on 23 April. It sees passionate volunteers give out hundreds of thousands of books in their communities. World Book Night is run by The Reading Agency, a national charity that inspires people to become confident and enthusiastic readers to help give them an equal chance in life. Lucy Diamond's classic bestseller, a story of new beginnings, love and adventure. Evie Flynn has always been the black sheep of her family - a dreamer and a drifter. Now she's stuck in temp hell, with a sensible, pension-planning boyfriend. Somehow life seems to be passing her by. 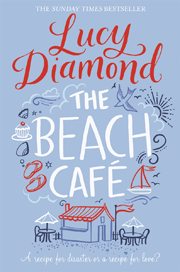 Then her beloved aunt Jo dies suddenly in a car crash, leaving Evie an unusual legacy - her precious beach cafe in Cornwall. Determined to make a success of something for the first time in her life, Evie heads off to Cornwall to get the cafe and her life back on track - and gets more than she bargained for. The locals on the quiet island stubbornly focus their gaze on one man - loner and simpleton Magnus Tait. But when police insist on opening out the investigation a veil of suspicion and fear is thrown over the entire community. This is the story of what happened to Cathy and her brother. It's a story for anyone who has ever watched someone suffer or lost someone they loved. 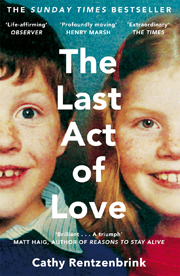 Told with boundless warmth and affection, The Last Act of Love is a heartbreaking yet uplifting testament to a family's survival and the price we pay for love. Here’s the full list of all of this year's fantastic World Book Night books. Find out more about them and the rest of the World Book Night festivities here.